About Us — ed/it women co.
ed/it women co. came about through our desire to see an increase in the number of female role models in education, who are proficient and confident in using technology to influence and encourage the current and future generation of female students to venture into STEM careers. From there, it is building into so much more. 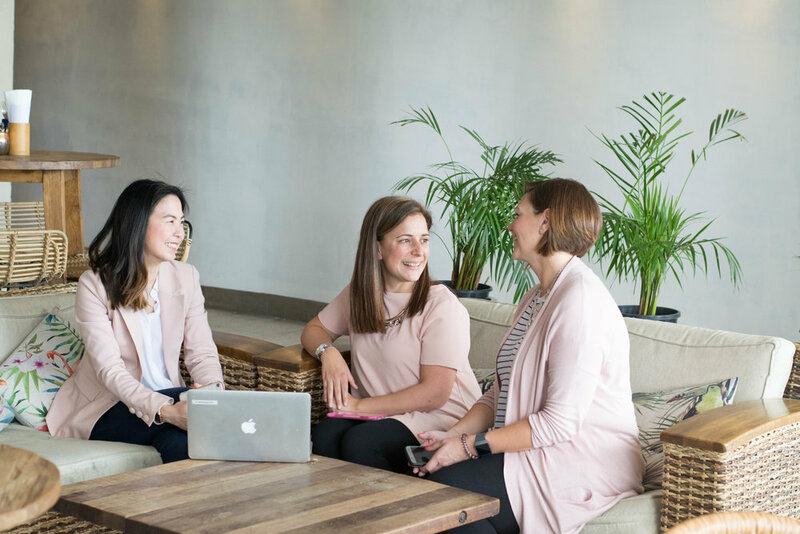 Our founder, Kim, and co-founders Jess and Emma are working together to create a community of like-minded people who understand the importance of women in the educational technology sector. We have a set of beliefs and values that influence all that we do at ed/it women. CONNECTION : to each other, through face to face events and podcasts, opportunities to develop mutual understanding, inspiration and professional conversation. COMMUNITY : providing a safe, encouraging space to connect to other members. Aimed to promote collaboration, facilitation of career growth opportunities and building a supportive network to increase and retain females of technology in education. CARE : showing we care for our members, respect their contribution to the education landscape and invest in their career growth. We do this by conducting research, seeking feedback from the community to respond to the their needs and provide mentorship. We are so excited for the future and how we can grow our community to best support all ed/it women!